1. Feed only wet food and do not give dry until the wet is eaten (by finicky cat). Follows the theory of positive reinforcement & reward for good behavior. 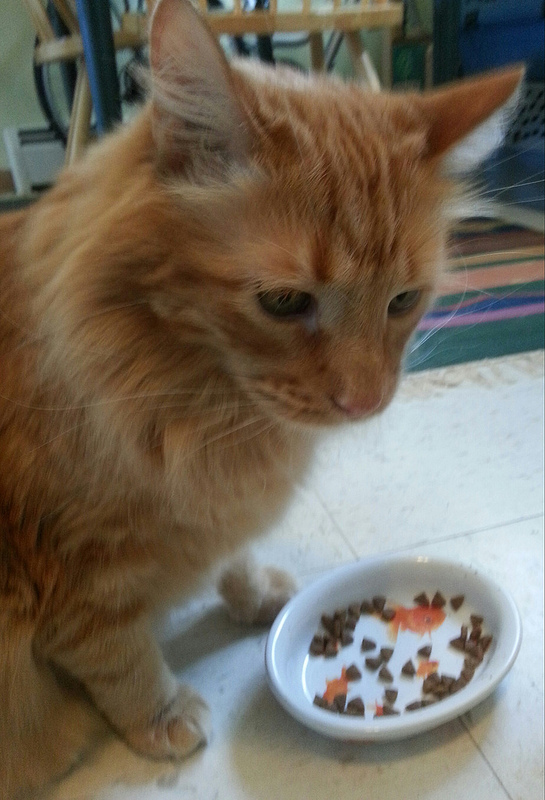 Result: End up playing game of “please eat this” for up to an hour, meanwhile good cat not rewarded. Strategies include: physically separating cats, or leave food in kitchen and alternately cover/uncover food (to keep the non-picky cat away). I’m not picky. I want what’s in his bowl. 2. Mix wet and dry together. Result: Finicky cat will not eat this for me. But he will for the cat-sitter. TRAITOR. 3. Heat refrigerated food to “live mouse temperature” by adding teaspoon of boiling water. Result: I read about this somewhere and tried it but it actually did nothing to raise the temp of the food. The non-picky cat did not seemed bothered by the change in consistency. Hence the title of non-picky cat. 4. Heat refrigerated food to “live mouse temperature” by nuking. Result: Although there is a lot of debate about this on the internet, I figured it was worth a shot. Took 8 seconds in my little microwave. Thoroughly tested the food temperature with my finger to make sure not overheated. Picky cat walked away. Non-picky cat (who already ate, by the way) is freaking out by this point by the aroma in the kitchen. 5. Store leftover wet food in any other container than the can it came in because the can effects the flavor and smell of the food. Result: No results in yet, as I’m just trying it for the first time. Although it makes sense. Although it has never deterred non-picky cat in the past. 6. 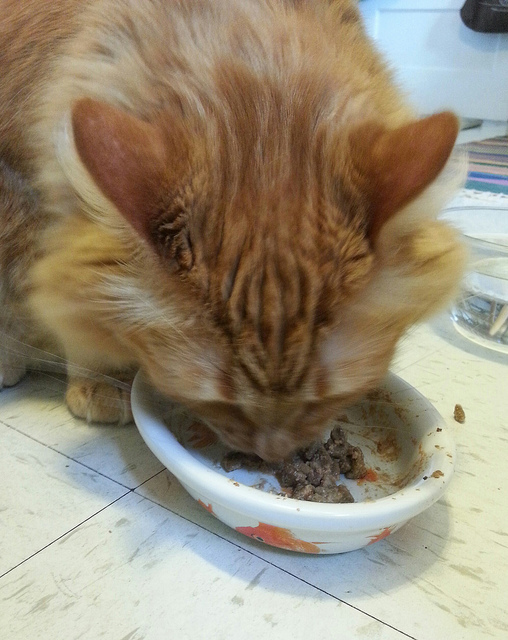 Gently coat some dry kibble with extra wet and warm wet food (result of numbers 3 & 4). This is not the same as thoroughly mixing. It’s like folding in egg whites. Then sprinkle more dry on top and gently press to stick. Artistically garnish plate with more dry. Result: Success! Although this seems a little excessive on my end. Like a blog about feeding my cats isn’t? Very funny post! 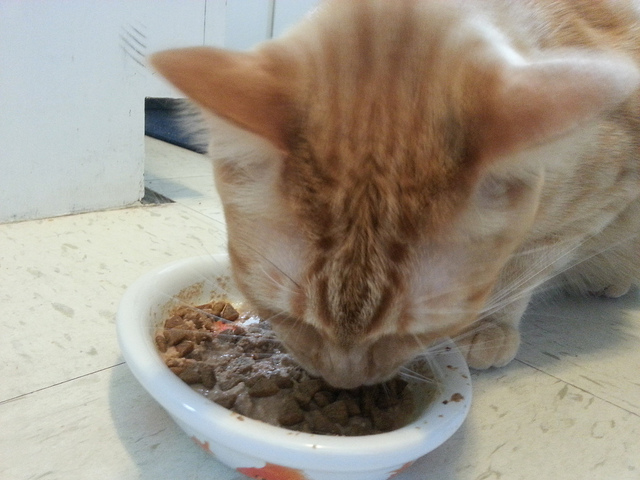 Being a writer of a cat blog myself, I can identify with everything you wrote about feeding your picky cat. I tried the microwave method and my cat gobbled it up. I guess all cats, like people, are different.